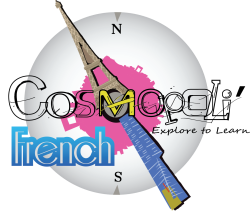 At Cosmopli’French, we believe the best way for you to learn is to take you from a basic French class in Melbourne to a cultural lesson in France. Although no travel takes place, we transport you to France through cultural learning experiences. An influential cultural experience for any country is their food. Food speaks volumes about the traditions and family beliefs as well as the taste experience and the flavours behind the words. We offer events and classes on an ongoing basis to teach you French through your belly and into your mind. Music evokes thoughts, feelings and memories for most of us. Hear a favourite song on the radio and you are often transported to a time and place you last heard it. It is this combination of memory and culture that we believe helps one learn more effectively. We offer music based courses as one of the techniques to help a French Class in Melbourne transport you to a better learning of France and its culture. Foreign film is not only an international art, it is also a wonderful way to listen and appreciate the fluidity of a language and learn proper pronunciation. We use film to continue your learning and understanding of both the language and the influences of life in France. Bringing you closer to the typical life and situations in France will allow you to emerge in their culture instead of feeling like an outsider. On your journeys to any country understanding their culture means understanding their unwritten rules and social skills. We introduce you to the do’s and don’ts as well as where to visit in your travels. These are just a few examples of how we transport you from a basic classroom setting to engage your senses to better understand the culture. We invite you to join us on our journeys and begin learning not just French, but France.